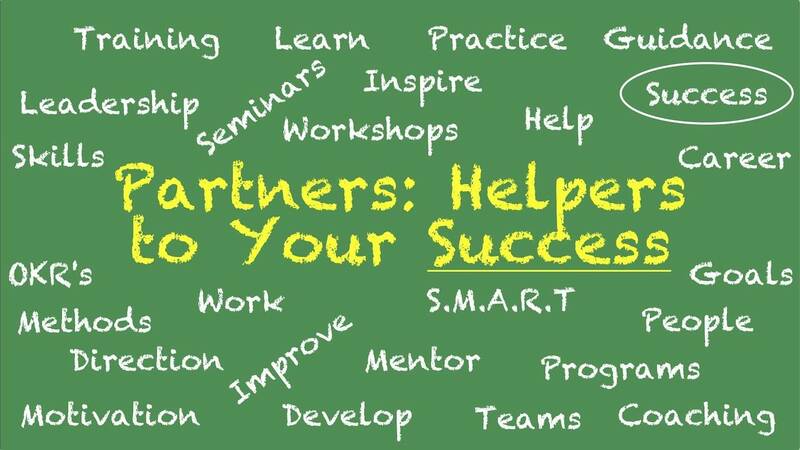 Partners - Why they are important to us and why they should be to you? It's all but impossible for any single company to have all of this expertise "on staff". If you find such a company, it's likely outside of your budget. How do you find people with each of these essential skillsets? Who do you trust? Most people start by Googling. After that, they go to Yelp and Craigslist. Do you have time to call and email dozens of people and try to ferret out one person that can get the task done "on time" and "on budget"? I want to make this challenging task easy for my clients. Below I have a curated list of businesses that I know and have worked with and trust for many of these skillsets. I've challenged each to provide me with examples of their work-product and references before I've agreed to list them on my website. Now, I can not promise that any company below will be the perfect fit for you and your needs. My partner's list should be looked upon as a curated list from which you can start your search. I'm working to list 2-3 companies in each of the categories I've listed so that you can hope to find a good match. All I ask is that you let me know how the relationship worked out if you choose to work with any company from my list or if not, why you chose a different provider. We’ll spend 30-minutes together by video chat. The First 10-minutes you will share the challenges you are facing while I listen and take notes. The second 10-minutes, I will ask clarifying questions. The last 10-minutes, I’ll discuss how we can work together towards finding solutions to your challenges. We’ll spend 4-hours together By Video Chat or Face-to-Face. We'll discuss your challenges and together creating a plan to solve those challenges and create a prevention process. 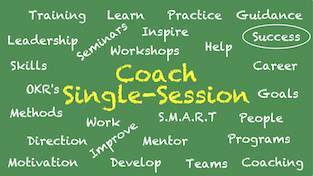 As your Coaching Guide, I will listen to you and ask questions. Together we will create a plan for you to succeed and overcome all of the challenges you face. We’ll spend 50-minutes together by Video Chat or Face-to-Face. We'll review your progress since our half-day kickoff, discuss new issues & plan the next steps. Together, we will adjust the plan. I will share proven solutions for you to choose from to remove roadblocks. 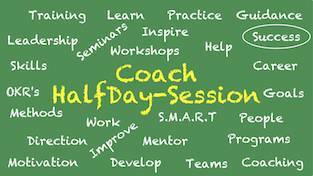 ◉ How Can a "Business Coach" Help Both Me and My Business? This is the 1st and most common question I get asked. The 1st job of a Business Coach (also referred to as an "Executive Coach") is to "Listen" to the Business Person. The 2nd job of a Business Coach is to "Ask Clarifying Questions" of the Business Person. The 3rd job of a Business Coach is to "Speak Specifically to How They Can Help in Your Situation". A Great Business Coach is a "Guide" to the Business Person. Ideally, they have the experience of running both successful and failed businesses. Why failed businesses? Because I believe you learn more from failures than from successes alone. Thomas Edison "failed" more than 10,000 times trying to find the right filament material (the stuff that makes an old-fashioned light bulb glow) that would last a long time in use. He was quoted to say he learned more from those "mistakes" and that those "mistakes" were what led to his "success". ◉ I'm a first-time CEO (Chief Executive Officer or President). What skills should I look for in a CEO Business Coach? ◉ I'm a first-time CTO (Chief Technical Officer or VP of Product Development or VP of Engineering). What skills should I look for in a CTO Business Coach? ◉ I'm a first-time CRO (Chief Revenue Officer or Vice President of Sales). What skills should I look for in a CRO Business Coach? ◉ I'm a first-time CMO (Chief Marketing Officer or Vice President of Marketing). What skills should I look for in a CMO Business Coach? ◉ I'm a first-time CFO (Chief Financial Officer or Vice President of Finance). What skills should I look for in a CFO Business Coach? ◉ I'm a first-time COO (Chief Operations Officer or Vice President of Operations or Manufacturing). What skills should I look for in a COO Business Coach? ◉ My Firm Needs a CEO (Chief Executive Officer or President). What should be a list of skills and experience for candidates? ◉ My Firm Needs a CTO (Chief Technical Officer or VP of Product Development or VP of Engineering). What should be a list of skills and experience for candidates? ◉ My Firm Needs a CRO (Chief Revenue Officer or Vice President of Sales). What should be a list of skills and experience for candidates? ◉ My Firm Needs a CMO (Chief Marketing Officer or Vice President of Marketing). What should be a list of skills and experience for candidates? ◉ My Firm Needs a CFO (Chief Financial Officer or Vice President of Finance). What should be a list of skills and experience for candidates? ◉ My Firm Needs a COO (Chief Operations Officer or Vice President of Operations or Manufacturing). What should be a list of skills and experience for candidates? ◉ My Firm Needs a Business CFP (Business Focussed Certified Financial Planner). What should be a list of skills and experience for candidates? ◉ My Firm Needs a Bookkeeper / Payroll Person. What should be a list of skills and experience for candidates? ◉ My Firm Needs a Lawyer with Startup Experience. What should be a list of skills and experience for candidates? ◉ My Firm Needs a Website. What should be a list of skills and experience for candidates?